Poklong Garai tower, Bau Truc pottery village, Nam Cuong sand dune, etc. are tourist attractions in Phan Rang city which you can discover all in one day. Harvest Grape And Slide Sand In Phan Rang- Cham Tower. The windy and sunny land of Ninh Thuan always attracts a lot of tourists with attractive and long beaches: Ca Na, Ninh Chu, Vinh Hy, Binh Tien, etc. 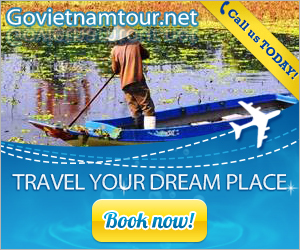 All brings a pristine and simple beauty and has not much influenced by tourism activities. However, if just stopping at Ninh Thuan in one day, you can discover this land and people through highlight destinations of Phan Rang city. PoKlongGirai waterfall was built under King Simhavarman III in the end of 13th century. In addition, this is a place Cham pilgrims usually visit and a location of Kate festival on October. 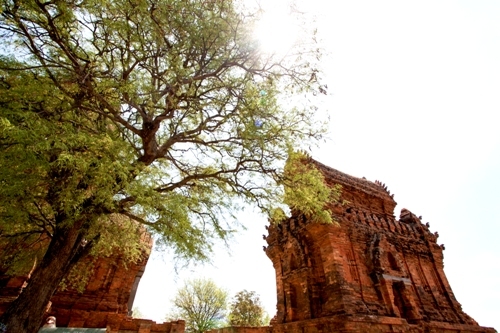 Near Cham tower, about 7 km from Phan Rang city center, this place is architectural complex of Champa, including main tower, gate tower, additional tower and brick walls. 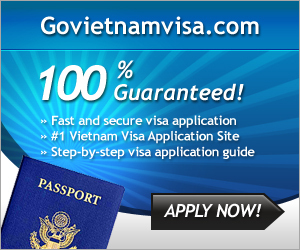 The entrance ticket is VND 30,000/ person. Aside from Cham tower system, tourists can visit Cham museum with many unique exhibits. To come to the grape garden, you can use motor boat cross river, cool air together with river landscape will make you comfortable right from very first moments. The moment you step on the green grape garden, emotional excitement will rush up when you witness hundreds of bunches of laden green or red grapes full of energy. This is a chance for you to take romantic photos and touch on each grape. 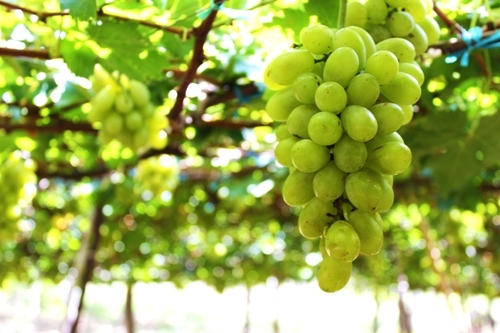 Moreover, you can enjoy fresh grapes that are picked up by yourself to enjoy the sweetness of seasonable grape. Visiting vine orchards of Ninh Thuan always create attractions and interesting things for almost tourists. This is a chance for you to take romantic photos and touch on each grape. Moreover, you can enjoy fresh grapes that are picked up by yourself and enjoy the sweetness of seasonable grape. From Ba Moi vine orchards, run along the provincial road of about 5 kilometers to get Bau Truc pottery village. It is the oldest pottery village in Southeast Asia. This village produces special and fine pottery products which are designed in Cham cultural style. Visiting the pottery village, tourists can see all stages of making a pottery product from village craftsmen. Especially, you can do it by yourself as the guides of hospitable pottery owners. After visiting, do not forget to buy some pottery products as a gift for your family and friends. About 8 kilometers from Phan Rang- Cham Tower city in the southeast, Nam Cuong sand dunes with area of 700 hectares are interesting destination where tourists can not miss out when visiting Ninh Thuan. It is compared as a shy girl hiding behind villages, bamboo bushes and vast vine fields. The best time to contemplate the sand dunes is early morning or on sunset, tourists will have chance to admire wonderful natural pictures between nature and human. Undulating sun beams on such these sand dunes look as a giant silk carpet full of color. 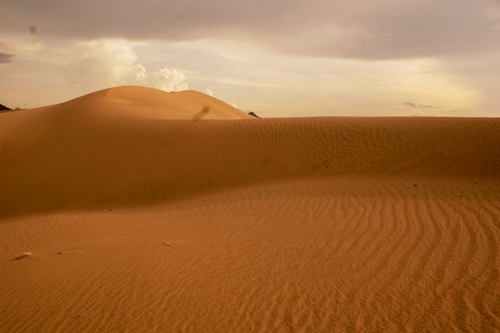 Located in the inhabited area of Cham people, sand dunes is an integral part of Cham people’s lives. Day after day, people walk on the sand dunes to go to the beach, go out in the fields, go to school, go to market or go to church, etc. It can be said that all their daily activities are associated with these sand dunes.